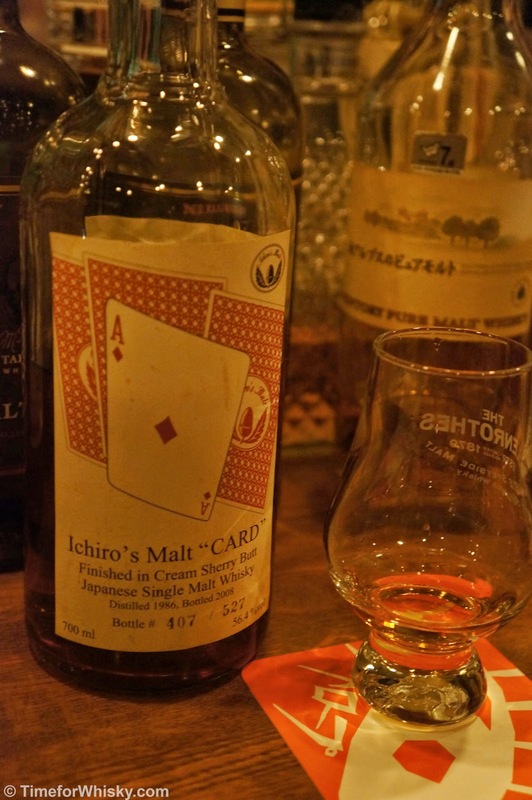 Tasted #159 - #163: Ichiro's Malt Cards Series (Hanyu) Ace of Diamonds, Yamazaki Mizunara 2014, Miyagikyo 1987, Hanyu from the last year of production...and more! 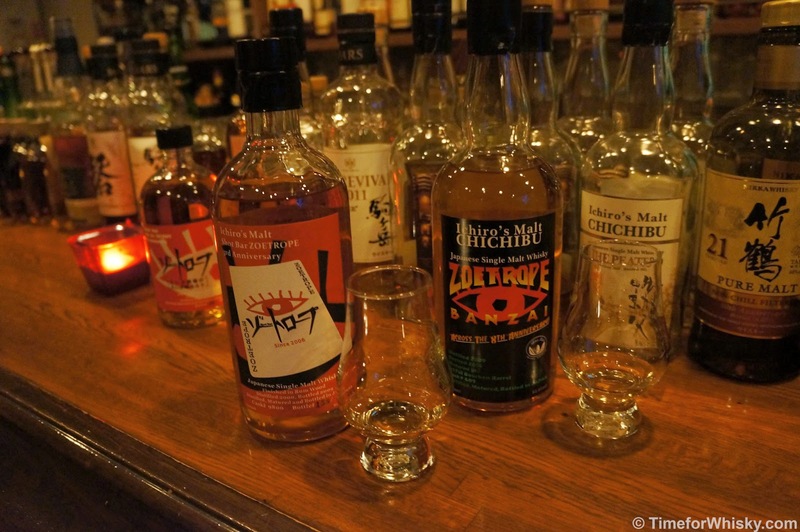 A few weeks ago we posted a review of the fantastic Zoetrope bar in Tokyo, Japan, as part of a trip Steph and I recently took to Japan. 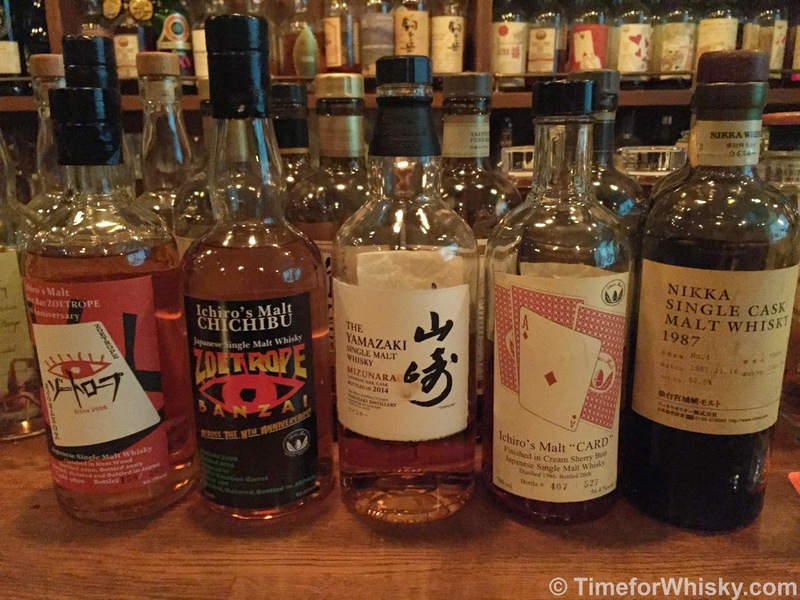 As with every bar we visited, we tasted some amazing, rare, unusual (and generally, insanely cheap) whiskies. Nose: Rich, Sherried, sweet, raspberries, some almond. Palate: Leather, oak, spice, big spice. A little sweetness - bubblegum, wine gums, and some apricots. Finish: Drying and tannic. After a fantastic nose and palate, the finish lets it down slightly...but only slightly. Rating (on my very non-scientific scale): 93/100. Despite the slight disappointment on the finish, still a fantastic whisky. 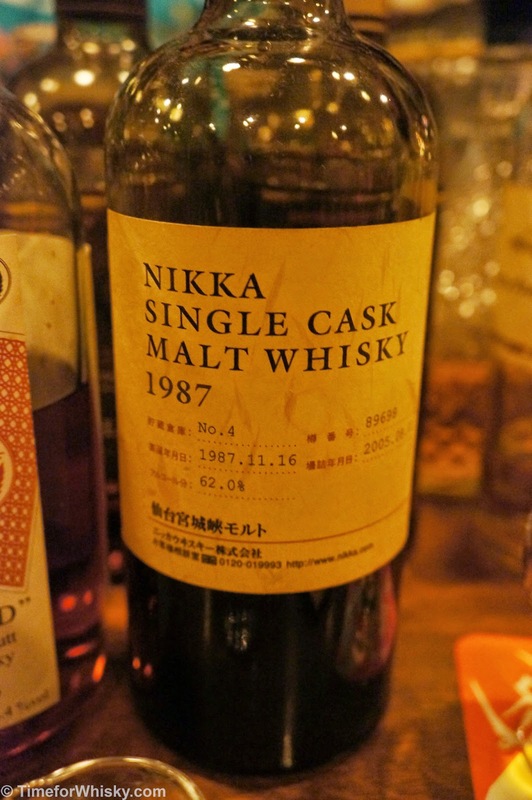 Distilled in November 1987, bottled in August 2005. Palate: Lots of juicy plum notes. Lets you know it's packing 62% ABV, but that's not to say it's harsh. Hot yes, but not harsh. Water really brings out sweet toffee notes. Finish: Drying, tannic, medium length. Lots of oak. Water lengthens the finish (unsurprising given the ABV). Rating (on my very non-scientific scale): 91/100. Better with a few drops of water. Nose: Spiced, chilli, vanilla and coconut. 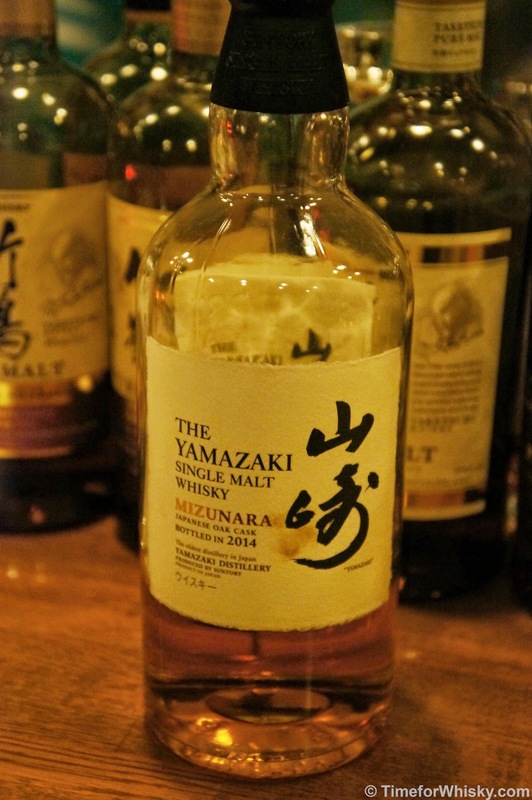 Lots of coconut (a feature of all Mizunara-matured whiskies we nosed during the trip). Palate: Spicy, possibly one of the spiciest whiskies I've tried. Peppers and chilli. Finish: Cayenne pepper, turning into pure coconut. Very long. Rating (on my very non-scientific scale): 91/100. 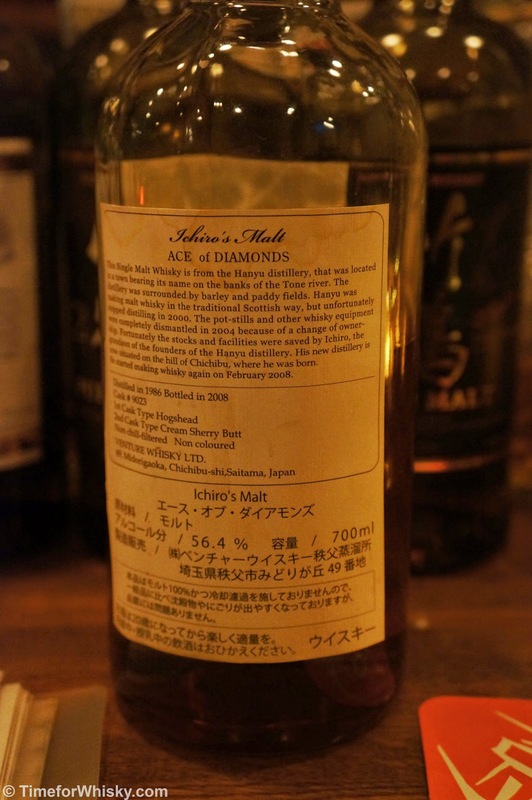 I probably wouldn't drop the asking price on a bottle (though even if I wanted to, I'm sure all 1,600 are now spoken for, but an enjoyable and very unusual whisky nonetheless). Distilled Nov in 2009, bottled in June 2014 to celebrate the bar's 8th anniversary. Nose: Play dough (it's clearly young) but very smooth. Pineapple too. Palate: Meaty. Some plastic, crayons. But rich tropical fruits too. Very, very good. Finish: The only disappointing part. Medium length, tannic and slightly sour. Rating (on my very non-scientific scale): 93/100. Bloody good whisky, let down only slightly by a finish that reminds you that this is still very young, and has some less than favourable notes that haven't quite left it yet. Nose: Bacon. Bacon. Some more bacon, and then, for a change, bacon. So much bacon. A few drops of water brought about some smoke too. Smoky bacon. Yes please! Palate: Intense bacon-ness. Water brings about even more bacon, but also adds smoked BBQ flavours and dried fruits - apples and sultanas. Finish: Long and hot. Some smoke, quite a bit of vanilla sweetness. If you ever get the chance, visit this bar. If you only read one of these news bits, read this one. Ardbeg Day 2015 has been announced, to be held on 30th May 2015. Mark the date in your calendar, and if you lve in Sydney (and probably Melbourne), then you'll most definitely want to keep the date completely free. Why? Because Ardbeg Day is usually one of, if not the best whisky event of the year in Australia (no word yet on if there'll be a Hong Kong one in 2015, but we hope so). 2013 was fantastic. 2014 possibly even better. Do you want to be the person who misses out on 2015? 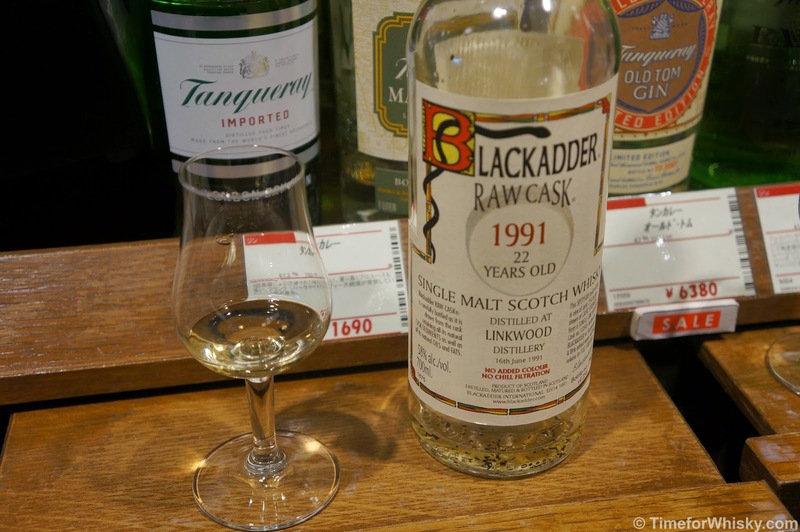 You may know New World Whisky Distillery from their Starward Australian single malt whisky, their brilliant single cask and one-off bottlings, or from our private tour back in Dec 2013. Either way, they're an incredibly exciting young (though now well-established) distillery doing some incredibly exciting things (ginger beer cask-finished whisky anyone), who don't seem to be slowing down the pace any time soon. Since our tour, they've added a bar, and a series of formal tours/tastings, which can be found on their events page. While they've just run a whole bunch of tours throughout early Feb, they have an open day coming up on 28th February which is sure to be a cracker. Do yourself a favour if you haven't, and get into this exciting distillery (literally, if you're in Melbourne and are free this coming Saturday). It wasn't that long ago that we attended the Hong Kong launch of the 1969 Exceptional Cask, and now the 1968 vintage has been announced in Australia (previously only being available at Singapore duty free). "The Glenrothes Extraordinary Single Cask 1968 has been bottled from the contents of Cask #13507 – a second-fill hogshead cask, filled on 19th November 1968. It has yielded just 145 bottles at a natural strength of 41.9% ABV. The hallmarks of The Glenrothes are quality and purity, evident in the beautifully-balanced, elegant and well-mannered single malt with peerless texture, perfectly expressed by this single cask bottling. This expression is unchill filtered and, like all Glenrothes’ bottlings, of completely natural colour." The Glenrothes Extraordinary Single Cask 1968 #13507 will be available in Australia from March 2015. Prices will start at "$10,000AUD and upwards" per bottle. Back in November we attended the Hong Kong launch of the Highland Park "Freya", and the next in the series has now been announced - none other than "Odin", joining "Freya", "Thor" and "Loki" to complete the Valhalla collection. Odin weighs in at 55.8% ABV and, judging from the comments online, has been very well received. No word on a HK release just yet, but we'll be sure to look into it and update this post with any details. Another new anCnoc release - this time a very well-aged 1975 release, bottled in 2014 (making it 38 or 39 years old in my books, depending on distillation/bottling dates). 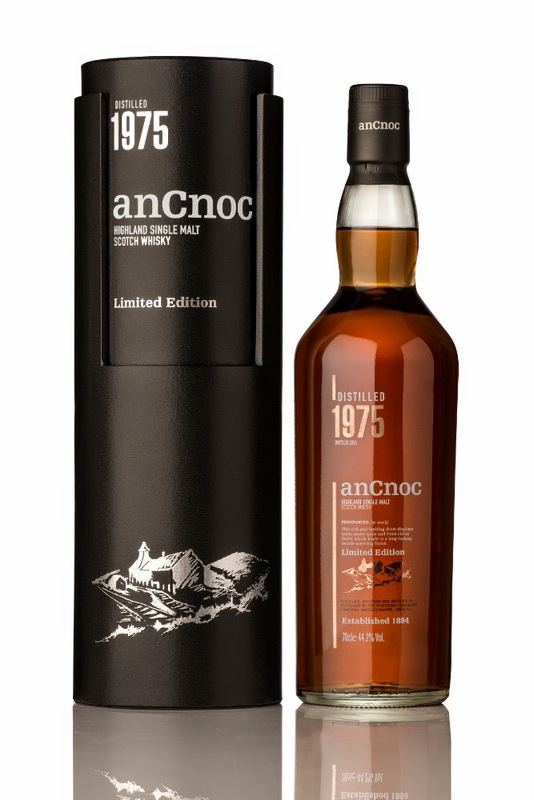 "On February 1st 2015 anCnoc Highland Single Malt Scotch Whisky will unveil its latest creation – anCnoc 1975 Vintage. Bottled late in 2014 this is the oldest expression ever released from Knockdhu Distillery and promises to be the ultimate treat for anCnoc fans and the most discerning whisky drinkers around the world. The whisky comes from only three American oak and Spanish oak ex-sherry casks laid down in 1975. The release consists of 1590 bottles. The whisky comes in its most natural form, it has not been chill-filtered or coloured and is presented at the cask strength of 44.2% ABV. The recommended retail price is £300. anCnoc 1975 Vintage will be available in several key markets around the world including the UK, USA, Russia and Canada. In-keeping with anCnoc's ethos of 'Modern Tradition', the 1975 Vintage is presented in a simple, striking bottle and encased in an elegant black tube. anCnoc Assistant Brand Manager Stephanie Bridge sheds light on where the new Vintage fits within anCnoc's recent string of acclaimed releases. “The last 12 months have been a very ambitious and a very successful time for anCnoc. We unveiled the limited Peaty Collection to a global audience and launched two travel retail expressions as well as our popular 18 Year Old. The 1975 has been anticipated for a number of years, it’s distinctively anCnoc, a fantastic whisky and a superb addition to any whisky collection."" In another example of whisky companies seeking to engage their audience in new and exciting ways (e.g. The Glenlivet's The Guardian's Chapter and Maker's Mark's ongoing excellent Ambassador program) LABEL 5 (which we tried back in November) recently asked their fans to film a 5 second video of their city, for inclusion in a "round the world" compilation produced by LABEL 5. Nose: Earthy, herbal smoke, but at the same time sweet, boiled lollies. Palate: Lots of caramel. Thick, rich, like a creme brûlée with cinnamon on top, condensed into a hard-boiled lolly. Finish: Long and lingering, without any "heat", but with notes of burnt caramel. Rating (on my very non-scientific scale): 93/100. While I love my sherried whiskies, I also really appreciate a great ex-Bourbon cask whisky, and this definitely fits the bill. One of those who like their whiskies on the sweeter side, for sure.